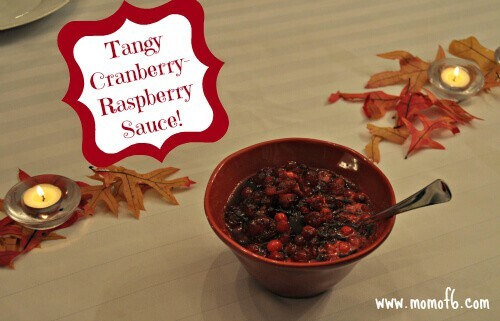 To Those That We Will Miss At Our Thanksgiving Table… this Cranberry Sauce is for YOU! So sometimes this happens….. one day long ago you were being all adventurous-like and moving far away from home, and then you fell in love with a guy and built a life for yourself in this new place that is so far from the town where you grew up. Let's for the sake of simplicity call this new place “New York”, shall we? And for the first few years after living in this strange new land called New York, you returned to your hometown or that of your spouse- out in far-flung areas of the world like Ohio and Michigan, and celebrated the holidays with your families- breaking bread together, perhaps chasing some Black Friday holiday bargains together…. that sort of thing. And then you started to have kids (1-2-3-4-5-6!). And these kids start to grow up, and have their own schedules, and their own busy lives. And pretty soon…. it's not so easy to go to Ohio or Michigan for a 4-day holiday weekend. Even if your Mom really does make the world's greatest pumpkin pie. So instead, you prepare your own Thanksgiving meal, right there in New York… and you invite your family members to come to you! But again, busy lives and busy schedules get in the way- and not everyone can venture off to New York for your Thanksgiving dinner. Sigh. This year we will be missing some very important people at our table…. my Mom and Dad, my brother and his family, and my brother-in-law and his family. And while I will be missing them…. they will be missing my delicious dinner. Especially my world-famous tangy cranberry-raspberry sauce! This cranberry sauce is out of this world! It is simple to make, and even those of you who still serve the stuff in the can will be convinced that this is only slightly more involved than opening up the can! You wanna try it? Well then, let me send you the recipe! « Links to Love: CopyCat Recipes and More!